Inspired by Samus's Screw Attack from Nintendo's Metroid franchise. This piece was digitally sculpted and 3D printed in solid stainless steel. 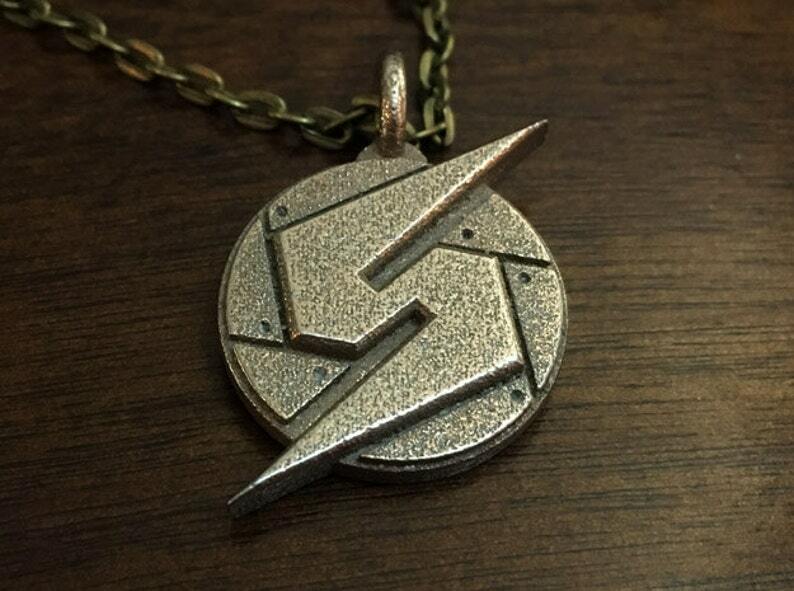 Though this pendant wont give you the ability to somersault in the air at Space Pirates or Ridley it is a classy piece to add to any nerds jewelry/keychain collection. It was a awesome gift for my boyfriend; though, I wish it was more tarnished like the picture. I ordered this on February 28, it didn't have it in my hands until April 7. Disappointed that it came so late.